Over the years I have witnessed thousands of prospecting calls. I have had the wonderful opportunity to provide feedback and some coaching to many reps. About 10 years ago I developed the framework for something I called “Call Camp”. The Call Camp would be delivered over a 2 day period with some classroom training, various workshop type activities, role plays, and finally live calling. Through years of observing calls and delivering the Call Camp I have witnessed some common trends. 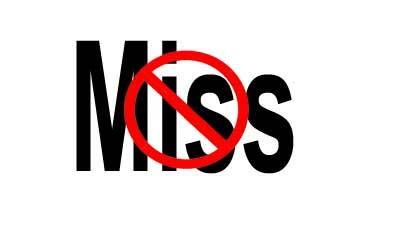 I would like to share with you today what I believe to be the top 3 things which sales reps miss in their overall prospecting journey. Certainly there are more, but I find these 3 to be fairly consistent across all types of companies, industries, sales models, and experience levels. Time and time again when visiting inside sales organizations and observing their work-flow, I see that many reps fail to actually plan out and schedule a specific day(s) and time(s) for their prospecting. They tend to leave it for a time which is convenient, a Blitz Day, or they may have intentions to call “mid-morning”. But the bottom line is it is not in their Outlook calendar, therefore it often doesn’t get done. If we look at some of the recent research on optimum calling days and times, wouldn’t you think it would be important to actually block this time off in a calendar just as you would an appointment with your boss? The problem of sales reps talking more than the prospect may be the single biggest issue our profession faces. It’s widespread and can affect all levels from new to highly experienced sales reps. I believe there are a couple of key causes of this among other contributing factors. First, often times the training we provide our reps focuses on OUR product and OUR solution. We teach reps how to articulate its value and how to handle objections. I fear that this teaching, although needed and valuable, may lead a rep to want to make sure they hit EVERY point when speaking with prospects. They sometimes feel that if they can just “tell their story”, the prospect will understand just how great the offering is. But as we all should know, this defeats the very purpose of a prospecting call. I learned a saying recently from a speaker at one of the AA-ISP conferences which I think says it perfectly: “Be INTERESTED before you are INTERESTING”. This phrase sums it up perfectly! Reps need to first ask questions, probe, listen and understand the prospect, before opening up their mouths and talking about a solution. Wow, you would think that this is a pretty basic question to ask and information to find out. But time and time again reps fail to fully understand the role the person they are speaking with. I think part of this may be due to the fact that today, reps have a plethora of social media and other research tools at their fingertips. They can quickly look up a person’s title and even read their profile. But knowing a prospect’s TITLE, a qualified ROLE does not make! Often times I hear reps validate the title by saying something like: “So I understand you are the Director of Business Development at ABC Company, is that correct?” That question in and of itself is fine. But reps often make the assumption that person’s actual responsibilities are that of a typical role that has that title. In reality, they know very little about the person and what they really do. They should find out specifically what the person does on a day to day basis, what their responsibilities are, and how they perform their work, etc. Knowing a person actual role should not be left up to a rep’s assumption. It should be thoroughly qualified by using open ended questions such as “how would you describe your specific role within the bus dev department”, and go on from there. I hope this letter provides all leaders with a reminder of 3 critical areas that should not be overlooked by reps during their prospecting efforts. I would love to hear other things which you feel are missed by rep when contacting prospects.